Whether it is a colleague, boss, or friend, getting a promotion is always a great career milestone. Express your thoughts and make him/her feel happy for the promotion he/she got. 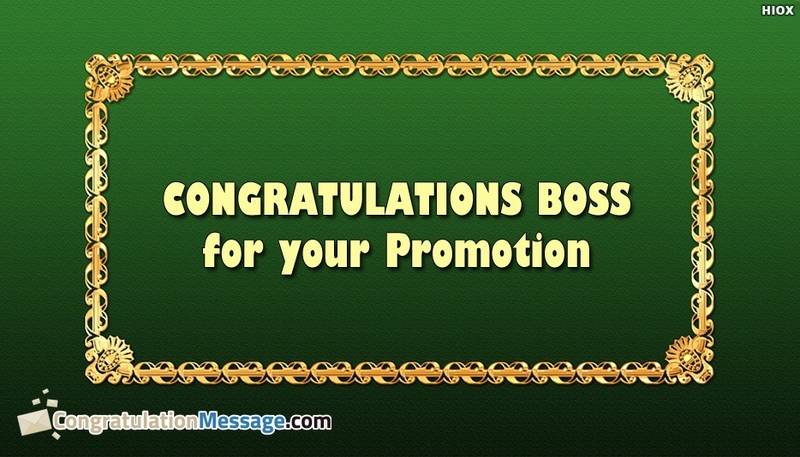 Show how far you are celebrating his/her victory by sharing this "Congratulations On Promotion To Boss". Make your boss feel better by free sharing this congratulations image.